Venezuelan infielder Daniel Brito has proved to be a rising performer in the Phillies' system in recent years. 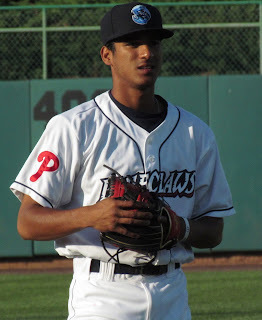 Signed by the Phillies in 2014 at the age of 16 for a reported $650,000, Brito would debut the following year with the Dominican Summer League team. In 60 games there, the six-foot-one 155-pounder would tally a .269 average with 10 doubles, three triples and 19 RBI while swiping eight bases. He debuted stateside in 2016 2018 as part of the Rookie level Gulf Coast League Phillies. There he batted .284 with 10 doubles, five triples, two home runs and 25 RBI while stealing seven bases in 47 games. 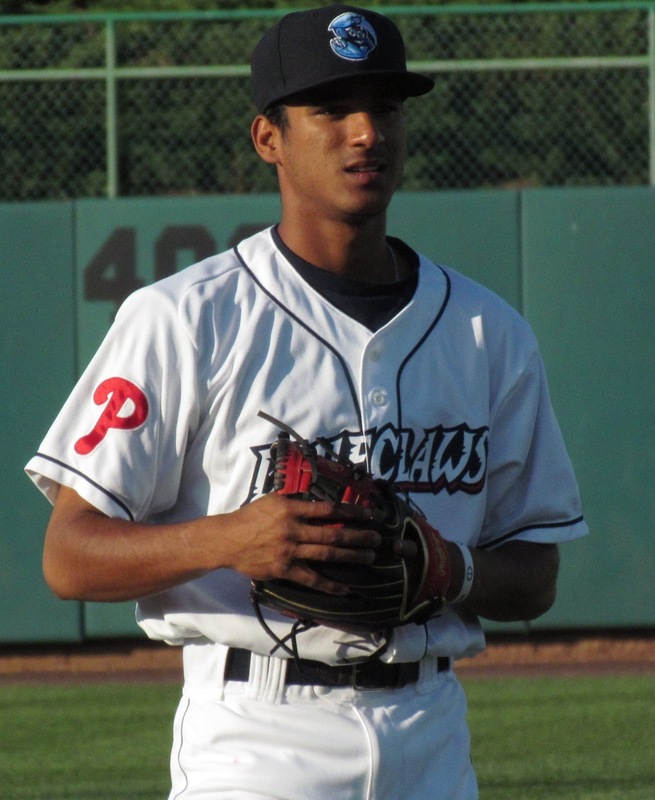 In 2017, Brito was able to put his skills on display in the full season Class A South Atlantic League as a member of the Lakewood BlueClaws. As a 19-year-old, Brito sported a .239 average with 15 doubles, a triple, six homers, 32 RBI and 12 stolen bases over 112 contests. The full season seemed to wear on the youngster, as his hot start (.826 OPS in April) could not be matched the rest of the way (his best OPS month after April was .618 in August). Organizational coaches were pleased with the progress Brito made throughout the season last year, despite any statistical struggles. Manager Marty Malloy had him focusing on learning to be a lead-off man in the Claws’ lineup in the early portion of the season, then targeting getting into certain counts and seeing more pitches. The left-handed hitter looks small and thin, but displays an ability to drive the ball with his quick bat. If he adds some muscle, the power portion of his game could be quite exciting. Brito already displays an ability to make adjustments and hit the ball well to the opposite field. Brito is a smooth defender. He is not the best you’ll see at second base, but he has the tools to become very reliable for a long a time with an above average skill set. He has spent some time at shortstop during his professional career as well, so that versatility could help him obtain playing time at the upper levels. On the bases, Brito’s got solid speed that he could really use to contribute. A class clown of sorts, Brito keeps the dugout and clubhouse loose. He’s a player that can pick a teammate up mentally, when needed. He’ll also lead by example and may be the majority of fans’ favorite player on the field. Phillies director of player development Joe Jordan offered the following endorsement of Brito in the first half of last season. “Brito, you know, honestly, five years from now, he might be the best hitter of the bunch,” Jordan told me in relation to the Phillies’ outstanding crop of second baseman that includes the highly regarded Scott Kingery, last year’s spring training standout Jesmuel Valentin as well as the guy at the top level Cesar Hernandez. Look for Brito to play this year with Class A Advanced Clearwater. It may not be long before he’s among the handful of prospect names that stir a lot of buzz where ever he goes.